Please complete a registration form, if you think you’d like to join us. This will also help us to advise you on which options you might like to focus on. GFCA offers fresh opportunities if you’d like to develop your acting skills, in a supportive yet stimulating environment! An exciting evening course for people relatively new to acting, although we find that some participants have other performance-related skills. One of the Centre’s team of Industry-experienced tutors leads a journey into the art of acting. It is designed not just for people new to acting, but also for those with some previous experience but no formal training in the basic actors’ exercises; those that develop range and depth with emotional connection. Through the exploration of environment, objectives, circumstances, physicality and the ability to be ‘in the moment’ you develop the tools necessary for character development and text work. You are introduced to the technical skills of voice and movement, expand your imaginative powers, learn how to use yourself and your experiences in your acting, how to breathe life into characters, how to break down a script and much more! This introduction to acting offers ways to approach story and character. The classes explore a wide range of aspects, starting with basic techniques in developing attention, sense-memory, awareness and storytelling through to improvisation – and then more specific character-work on physicality, status, spontaneity, relationships and psychological actions. As the course builds we start to look at text, and the work of different playwrights – with specific emphasis on understanding the play by breaking down the text, and allowing our own creativity and instinct to interpret the role. The work incorporates ideas from many different practitioners including Stanislavski, Checkhov, Meisner, Stella Adler, Uta Hagen and others. By the end of the course you may decide to explore acting on a deeper level in regular acting classes at the Centre, in which case we are happy to advise on what else we offer – but even if not, you will be able to apply many of these skills in other aspects of your life and work, and hopefully, will feel far more confident in your ability to speak in public. 30-week Progression INTENSIVE ACTING – MONDAYS 6.30 – 10 pm. The full fee is £995, payable in 3 termly instalments. Offered once per year, September to June. Termly enrolments may be possible, where numbers permit. 10 Monday eves 6.30-10pm from 25 September with actor Stuart Laing – grow your skillset, depth, focus, range! Providing opportunities to explore your development as an actor and push your own boundaries; we will approach this through varied scene work, understanding how to approach different characters, exploring the acting process through action, inner life, and sensitising yourself to the world of the story, in order to be able to apply it to your work. INTRODUCTION to Acting for BEGINNERS/ENTRY-LEVEL and ACTING:30-WEEK PROGRESSION are open to anyone interested in finding out more about acting. After working on the fundamentals in INTRODUCTION TO ACTING, it is time to develop those skills further in follow-on classes: such as ACTING-IN-DEPTH: 30-WEEK PROGRESSION and ACTING – SCENES & CHARACTERS. ACTING – SCENES & CHARACTERS is designed for actors with some training, to push themselves further into their craft. Grow your skillset, depth, focus, range! A rolling programme, bookable in blocks of 10 weekly sessions, offered throughout the year. Also ideal for those preparing for Drama School entry. With more experience, individuals may apply for ADVANCED CLASSES AND WORKSHOPS that are altogether more demanding and rigorous. Students at this level are eligible to take part in the Centre’s workshops and productions, and they are encouraged to develop pieces for our performance evenings. Those who develop to the point of becoming professionals are invited to join the PROFESSIONAL / MEMBERS CLASSES. Here actors may be presented to the profession through showcases, roles in studio productions and in short films. They may help lead workshops on behalf of the Centre and become involved in the development of the studio and the many projects that it undertakes. They join a vibrant and evolving ensemble, providing them with a creative home – essential in the notoriously precarious and lonely world of the actor. They engage in professional work outside and come back to the studio to ensure that they are working and developing themselves all the time. As we all know acting is a ruthlessly competitive industry – increasingly so. Few of us get the opportunity to work all the time, which was how actors used to continue their development. Nowadays it is important to find a forum where one can practise, tune ones skills and essentially stay competitive, while feeling creative and hopefully inspired. GFCA aims to supply high level classes in various disciplines at very reasonable prices. It is also at the heart of a community of actors, and many projects and working partnerships arise out of these sessions. These sessions [weekend, or evening] offer professional actors the opportunity to keep tuned in when not working; to run through audition pieces, work on specific acting problems they have encountered and continue to develop their range and abilities as expressive artists. They are led by acting coaches; chiefly Giles Foreman but also, for movement-into-character, Liana Nyquist. 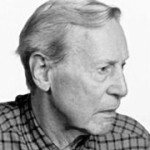 The basic technique draws on the work of Strasberg, Meisner, Uta Hagen and Stella Adler. The work mainly deals with realistic acting processes. It encourages actors to push their limits, to increase their capacity to use themselves and open up, to enhance their creative abilities in rehearsal through exploring impulses, to develop complex and layered characters, to dissect text rigorously and to come to rehearsal or set thoroughly prepared. The process tends to be a mixture of exercises and scene work. Everyone contributes to feedback and the general atmosphere is one of serious fun. As we all know acting can be a terribly frustrating and isolated profession – so what better than a serious workout! Many projects tend to be created out of these sessions. Entrance is subject to supplying a CV or Spotlight link plus an interview, and is for those who have trained or have a range of professional experience. Devised for actors and others wishing to understand and then explore in-depth the technique developed by Yat Malmgren and Christopher Fettes, founders of the original Drama Centre, London. Taught by the leading contemporary exponent in the UK and across Europe, Giles Foreman; and expert colleagues. 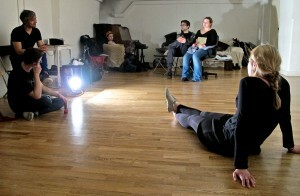 A sequence of four intensive modules; the sessions involve the progressive unfolding of the constituent parts of the technique, followed by opportunities to embody what has been covered, by practical exploration in acting exercises. The teaching in each module is built around one of the four stages explored in the masterly book written by Christopher Fettes, entitled A PEOPLED LABYRINTH. Yat Malmgren recognised that this would prove to be a powerful tool for the actor and went on to complete Laban’s theory. He extended Laban’s ideas by creating a psychological typology which brings together Laban and Stanislavsky, inner motivation and outer expression – leading to the detailed and accurate construction of character. This work was placed at the heart of Yat’s original acting studio in London and later at the Drama Centre London. The technique is familiar to all the students of Yat including Sean Connery, Anthony Hopkins, Penelope Wilton, Colin Firth, Helen McCrory, Tom Hardy, Michael Fassbender, Simon Callow and all the many accomplished artists taught over the course of 50 years work. Yat initially taught at a small studio in West Street, off Shaftesbury Avenue and became the acting guru of Sean Connery. He was invited by Lawrence Olivier to work at the fledgling National Theatre and later taught a young Anthony Hopkins at the Royal Academy. He went on to found the Drama Centre, London which was created around his work and which has subsequently produced some of the greatest names in British and world theatre and cinema. Our leading movement coach takes participants through principles of movement, the sensoric and the motoric nervous system, the spine, rhythms, the Laban concepts of working actions and animal characterisation work. The class, as well as building strength and flexibility, opens and expands the physical imagination. Liana is also available for private classes to help actors build their physical characterisation. Entry by application. Liana Nyquist studied at the Drama Centre and became the assistant to the founder of the Drama Centre Dr Yat Malmgren, in the Laban analysis of character movement. She is a vanguard figure of physical theatre, and gives workshops in Movement and Analysis of Movement all over Europe and beyond. Learn the vocal tools of the professional actor. Actors need healthy, flexible, expressive voices with which to act: this course teaches you the tools from which to explore your voice safely and creatively. You learn to release your voice from habitual tensions and develop appropriate breath connection, support and stamina for performance. Using the principles of general and specific resonance, you learn to develop vocal range and projection without strain. Exercises specially designed for developing precision and muscularity in the spoken word encourage you to build the essential skills for professional level speech and sight-reading. By application. Using group exercises for physical and vocal dexterity; articulation; vowel-placement, relaxation and breath-support, pitch-awareness, dynamic range and resonance. We work in whole-group, small-group and pairs; involving both spoken and pitched sound and harmonisation. The whole is designed to build confidence and range, and to be stimulating too! 10-session blocks, offered 3 times a year. On Camera demystifies the relationship with the camera, providing essential technique and giving rigorous attention to the detail, fluency of thought, emotional and physical life required in acting for film and television. Classes cover the day-to-day realities of filming – framing, timing, hitting your mark, the constraints of continuity as well as the transmission of a character’s inner life with and without words, all the while engaging intimately with the camera. A typical class involves targeted exercises, exploration of preparation-techniques and analysis/interpretation, but practice with the camera is central, through work on monologues or scenes. The class reviews the work, and develops through a dynamic process of observation, practice and reflection. The class is open to students who have already shown competence in acting technique. Thursdays 6:30 – 8:30pm 10 sessions, offered once a year. Improvisation class is designed to help actors approach working without a script, and aims to assist students to experience the immediacy of the work of the actor, their intuition and the power of the imagination. The course covers essential principles for improvisation based on the inspirational work of Keith Johnstone and Viola Spolin. Classes start with a physical warm-up created to free the body and mind, and are structured through a variety of games, team-building exercises, scene work and devising which allows students to find their spontaneity and inspiration without interference. The class is encouraged to experiment with creativity, narrative and storytelling. Approaching a scene with the absence of blocks and judgement and truly experiencing the world moment by moment is what gives a scene truth and dramatic strength. Students develop the confidence to be truly in the moment and embrace the stage as a blank canvass to co-create new living performances. The awareness, openness and understanding of the needs of the scene that improvisation skills can bring are invaluable goals for any actor. 10-session blocks, offered twice a year. The essence of Meiner is living truthfully, moment to moment, under the given circumstances. The foundation of this work sits in varying stages of the repetition exercises. Over time we move into ‘breaking the back’ (ie script-work), plus improvisational exercises, relationship work, preparations, and independent activities. 30-week progression: 3 terms of 10 sessions, offered once a year – September to July. Termly enrolments are possible, where numbers permit. Meeting as a group for 8 consecutive sessions, we explore in a safe, contained environment the mystery of ourselves through group facilitation; group member feedback; and also by paying personal attention to our bodymind experience. Information about the tutors for these courses is on the Teachers page.